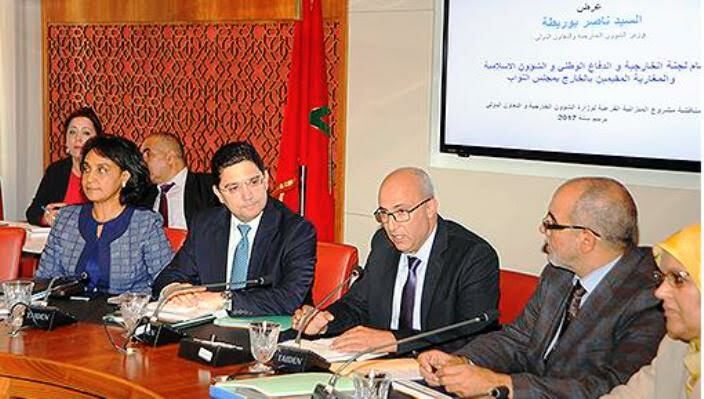 Morocco succeeded in making of 2016 the year of “firmness” with regard to the preservation of its territorial integrity, Moroccan Foreign Minister, Nasser Bourita, told the Parliament on Monday (May 8). 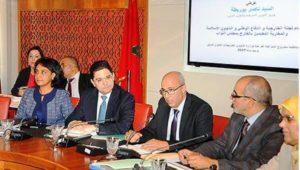 Morocco was able to face rigorously “misleading statements”, “irresponsible actions” and “perilous blunders” of its opponents that marred the management of the Moroccan Sahara issue, he explained before the Lower house Committee on Foreign Affairs, National Defense, Islamic Affairs and Moroccan Expatriates. Nasser Bourita, who was defending his department’s 2017 budget, expressed Morocco’s willingness to continue cooperation with the UN Secretary-General to find a political solution on the basis of the Moroccan autonomy initiative in the southern provinces, within the framework of total respect of Morocco’s sovereignty and territorial integrity. The head of Moroccan diplomacy also underlined that his department’s action aims, consistent with the High Royal Instructions, to “foil all attempts by the enemies of Morocco’s territorial integrity, seeking to involve any regional organization in handling the Moroccan Sahara issue, and to work to ensure that this matter falls within the exclusive jurisdiction of the UN”. The Foreign Minister voiced his department’s readiness to engage in periodic and regular consultations with representatives of political parties in both Houses of Parliament to coordinate positions and consider the best means of thwarting the maneuvers hatched by Morocco’s opponents. Touching on Morocco’s return to the African Union, Nasser Bourita described this return as “a huge success” by Moroccan diplomacy, spearheaded by King Mohammed VI. He added that Morocco grants a strategic importance to its regional cooperation with the Economic Community of West African States (ECOWAS), recalling that the Moroccan government handed Morocco’s membership application to this West African organization last February.